As the host of Fox and Friends on The FOX News Channel, and the author of the upcoming book "Media Maven: Leveraging All Media for Explosive Business Growth", Clayton Morris leads a dynamic seminar on the power of social media. Clayton Morris has identified 5 key marketing failures that most businesses make in the digital age and how to turn those failures into growth. During his fast-paced presentation, Clayton shows business leaders how to "communicate to win" by using the latest tools, strategies and trends in social media and beyond. Clayton Morris is a social media expert whose experience and sense of humor are showcased in his daily podcast "Today in Social Media" currently available on iTunes. Morris has built a career by using authentic voice on television, and he'll show you how successful businesses have tapped into that strategy for explosive growth. 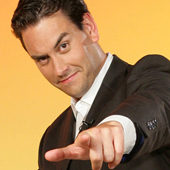 Clayton Morris joined FOX News Channel (FNC) in 2008 as the co-host of "FOX & Friends." He also hosts a technology show called "Gadgets and Games with Clayton Morris" on FOXNews.com's Strategy Room, which looks at the latest gadgets and technologies on the market. Prior to joining FNC, Morris worked for FOX 29 in Philadelphia where he was the host of "Good Day Philadelphia." Before that, he worked in Orlando on the launch of the WB Network's nationally syndicated morning show "The Daily Buzz," he was an anchor at WVVA-TV in Bluefield, West Virginia, and he was a political reporter at Montana's CBS affiliate.